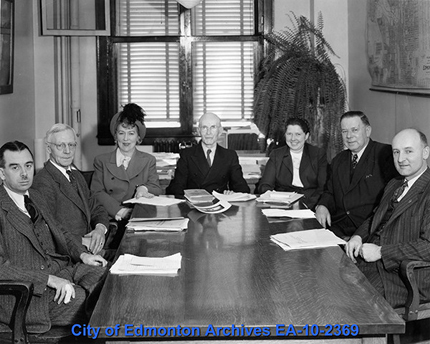 Ella May Walker served on the Archives and Landmarks Committee from its creation in 1947 until 1953. Despite its early beginning, little happened until 1947, when Bylaw 1121 was passed, establishing the Archives and Landmarks Committee. 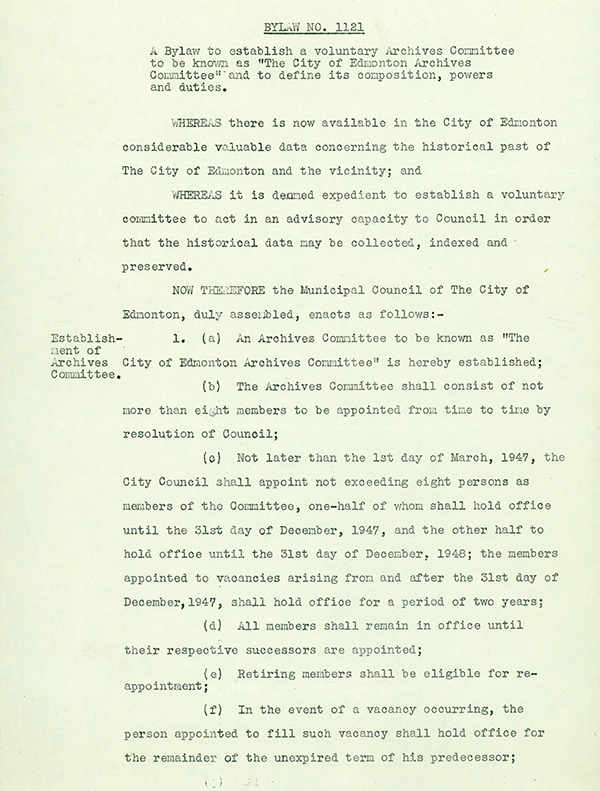 To create and maintain public interest in the objects of the Committee. 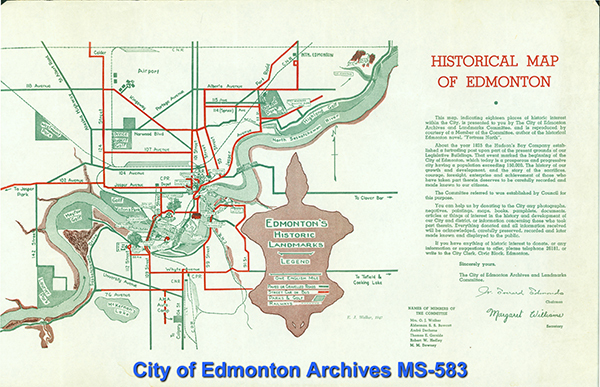 Ella was primarily involved in the first and last goals. 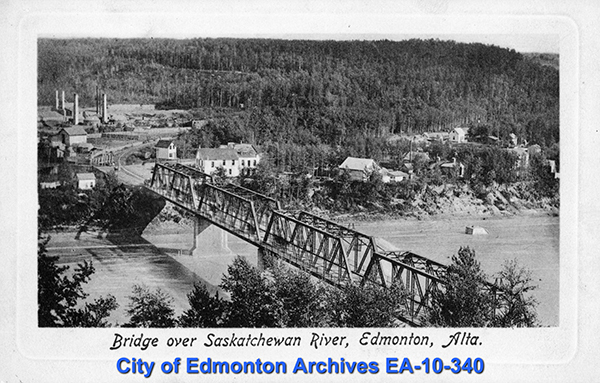 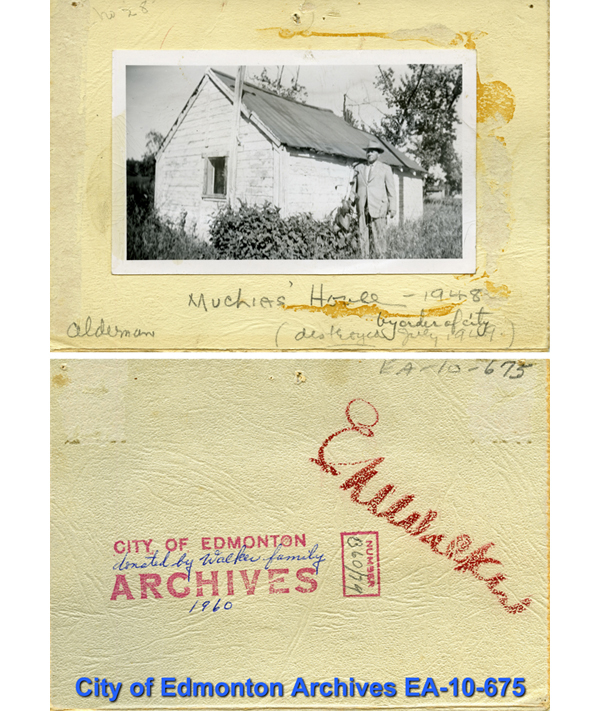 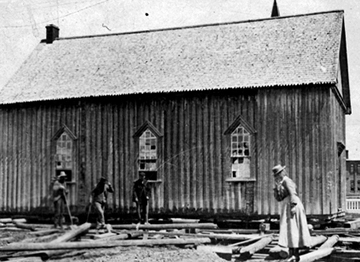 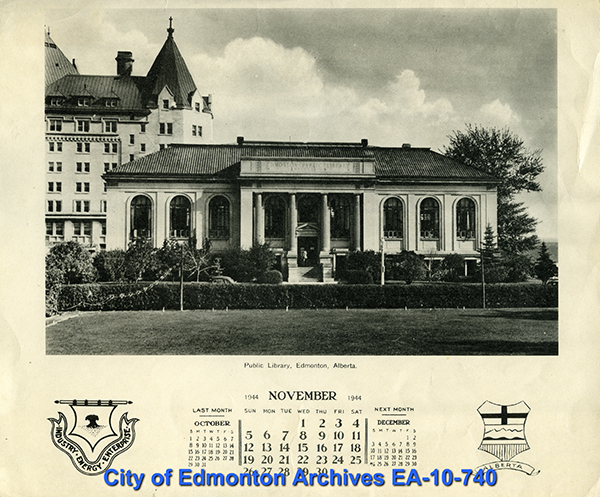 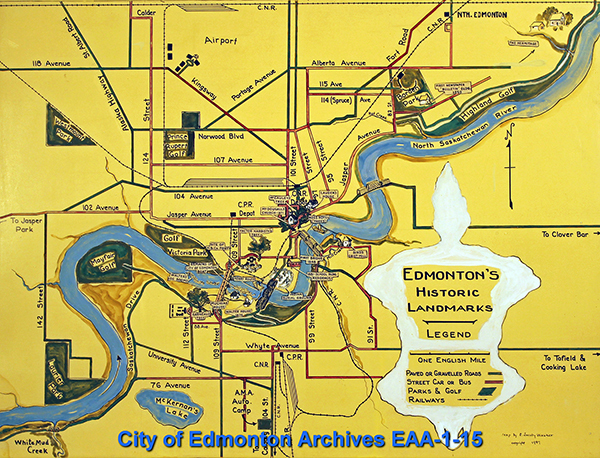 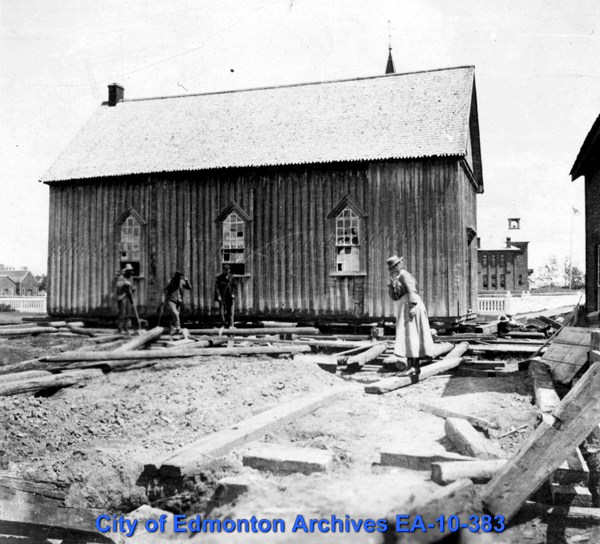 Though her work on Fortress North she had identified a number of historic places, buildings and objects in Edmonton. 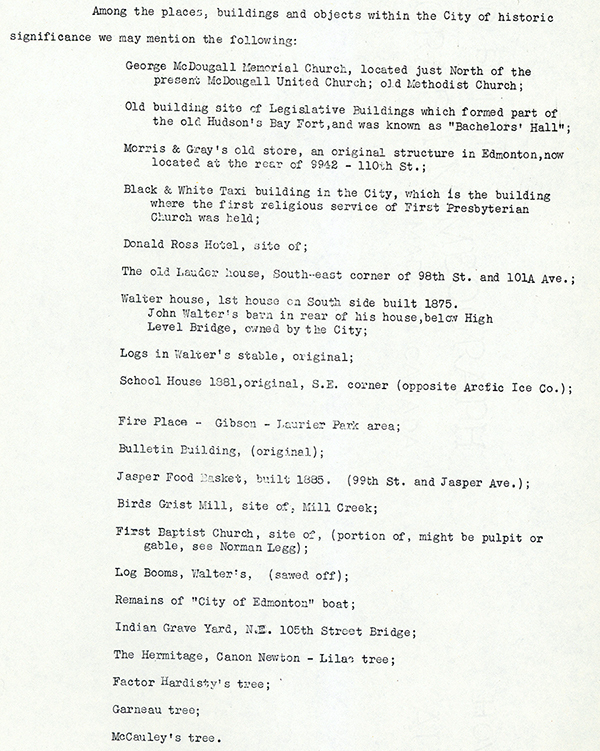 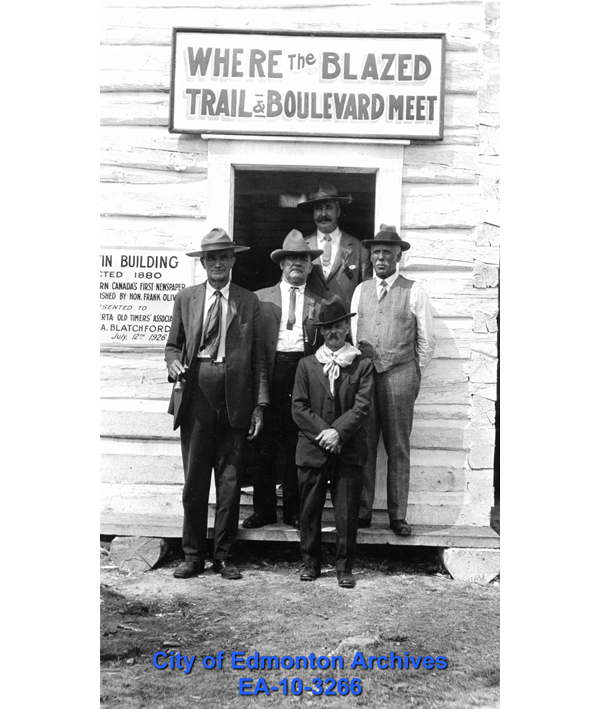 It was recommended that those places should be preserved if possible, and that all should receive historical markers. 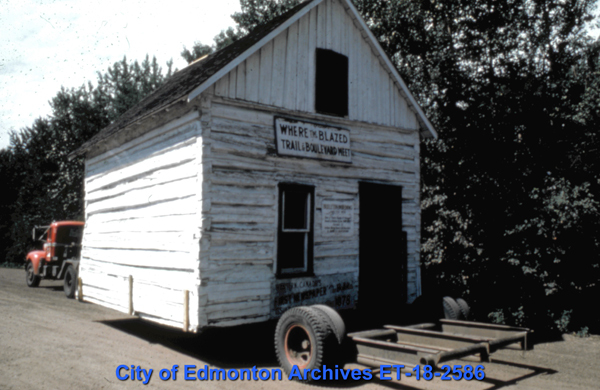 The sites identified by the committee were all pre-1900, with particular emphasis on resources associated with early prominent Edmontonians and early institutions, highlighting the public’s fascination with their pioneer-era forbearers after the Second World War.